Fixed-line phone operator PJSC Ukrtelecom completely cut off telephone and Internet connections in Crimea in the early hours of Tuesday, and suspended the activities of mobile operator Trimob, which is owned by Ukrtelecom. After the communications shutdown, the occupation government of the Russian-annexed Ukrainian territory of Crimea contacted the dispatching department of Ukrtelecom asking it to explain the situation, the Kryminform Web site has reported. 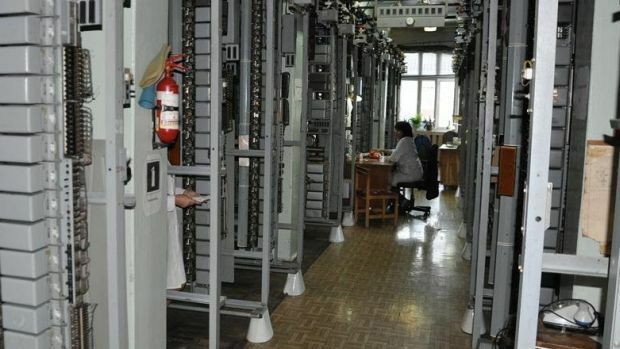 "In response, the dispatching department confirmed the complete shutdown of communications services in Crimea, without specifying the reasons for it. Previously no warnings of possible disconnections were issued," the statement reads. Ukrtelecom, Ukraine’s fix-line telephone monopoly, is owned by Ukrainian oligarch Rinat Akhmetov, who bought the company in 2013 at a price estimated at around $1 billion. The company is the holder of the country’s only 3G mobile Internet license.